When you are searching for Volvo V40 parts, you can rely on eEuroparts.com to provide you with a wide selection of quality parts. No matter what you may be seeking, we can assist you. The Volvo V40 was identical to the S40 model in terms of mechanics, but there were a few things that set the V40 apart from other models. One of those elements was the fact that the V40 had been designed to offer consumers the benefits of a compact estate car. 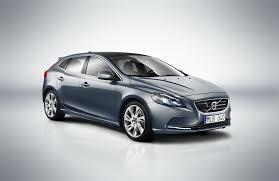 The V40 also offered the same performance, safety, and comfort levels as previously boasted by the S40. Unlike the S40; however, the newer V40 was able to provide consumers with the flexibility that can only be achieved through an estate vehicle body. The first V40 was produced by Volvo in 1995. More than 400,000 of this model were eventually produced before production ceased. Along with a 5-speed manual transmission, consumers could also opt for a 4 or a 5-speed automatic version. Like other vehicles from Volvo, the Volvo V40 also included hydraulic all-round disc brakes. A number of different versions of the Volvo V40 were available. 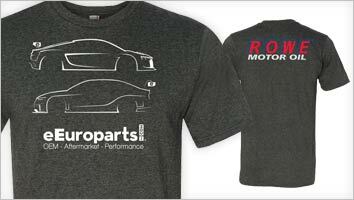 This made it quite easy for the customer to adapt their vehicle to their individual needs. Ultimately, production of this vehicle concluded in 2002. At that time, the V40 was replaced by the V50. If you need to find reliable V40 parts, you can trust eEuroparts.com to provide you with an extensive selection of authentic parts for your Volvo V40.